Towards the Forest is in the show! I'm thrilled to say that my print Towards the Forest has been selected for the 250th Summer Exhibition at the Royal Academy of Arts in London. It's a great honour to have my work in the show and especially in such a landmark year for the Royal Academy. 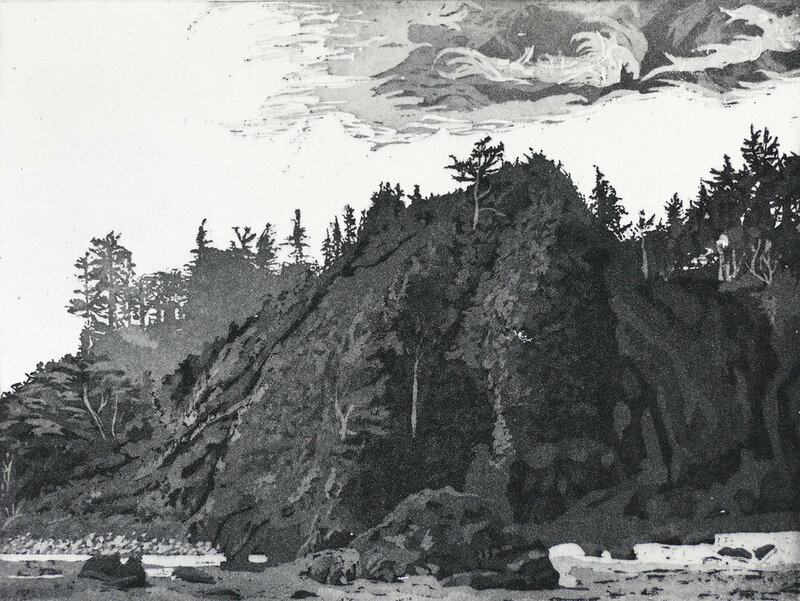 Towards the Forest is an aquatint (see my blog post What is an Aquatint?) and is a limited edition of 25 prints. You can see the framed print at the Royal Academy from June 12-August 19.